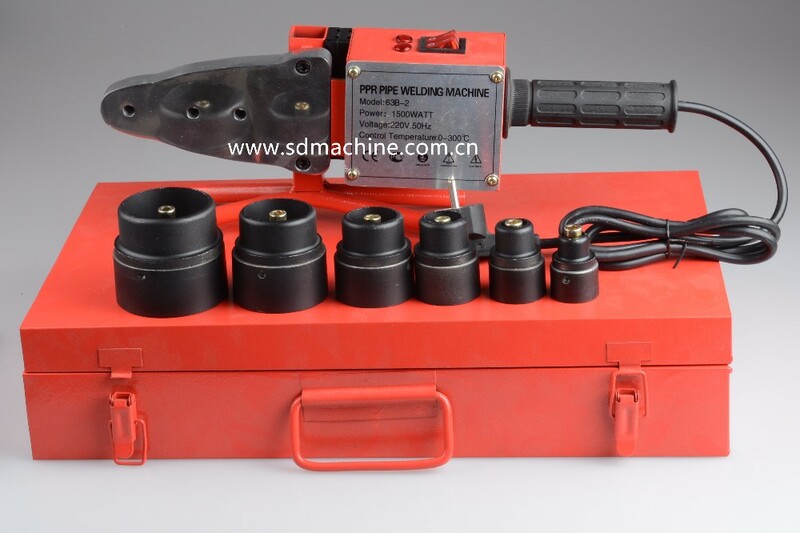 ♦ Suitable for welding plastic pipes and fittings made of PPR PE PB PEX PE-RT. ♦ One set includes: 20-63MM Dies, Cutter, Gloves, Tape, Level Rule, Screwdriver, Hexagonal Spanner, Using Manual, Standing. ♦ 6 pcs of Dies inlcuded: 20mm,25mm,32mm,40mm 50mm 63mm. ♦ Unique non-stick plastic mold technology. 1. Package: Several sets in carton.